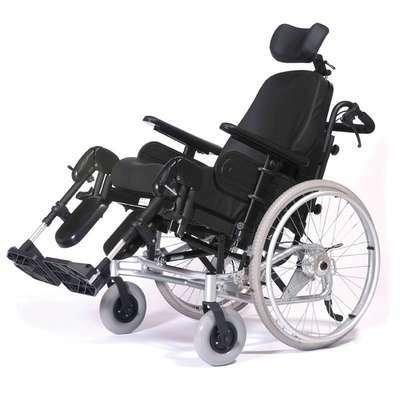 Comfort Tilt In Space Wheelchair For User Comfort. The Comfort Tilt in Space chair is designed for maximum user comfort and is intended for full-time use. Every aspect of its construction is geared towards physical ease and relaxation, from the padded headrest and leg rests to the ergonomically designed tilt-in-place seat, which affords effective pressure relief. Amongst its many impressive features is a sensor system that helps balance the chair and its user and so ensures complete stability when reclining.